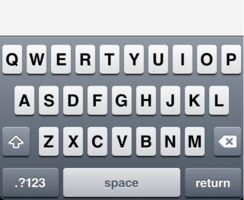 NOTE: I recommend using the Cordova Keyboard Plugin instead of this one. 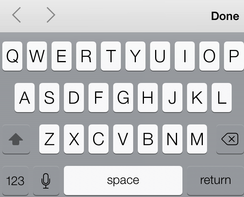 The Cordova Keyboard Plugin has better support for resizing and works with Cordova 3.2+. 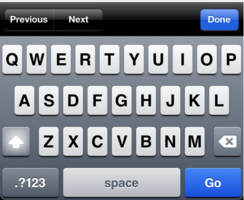 The keyboard in an iOS web view has an InputAccessoryView with Previous, Next and Done buttons. This plugin allows the toolbar to be hidden. The plugin creates a global variable called toolbar when it is installed. 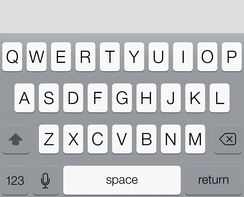 If you see a bar above the keyboard with iOS7, try adding height=device-height to the viewport meta tag. See Issue 9 for more details. Steve Smith's iOS 7 fix was influenced by a stack overflow post. Michael Scholz and Shinichi Hosokawa provided patches for Cordova 3.0 compatibility.